Seth has been doing a school science project on Astronomy. One of the projects he had to do was to find out how to find South using the stars. 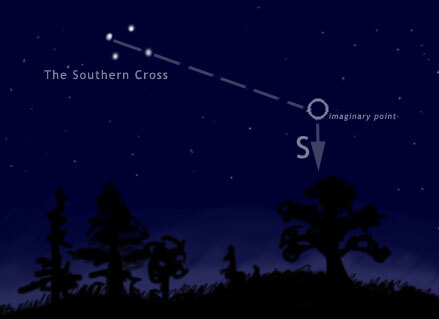 The Southern Cross is easily recognised in the night sky in New Zealand. I remember flying home from the UK once after being away from New Zealand for a few years. When I took off from Singapore and looked out the window and could see this familiar constellation, I realised just how far I had travelled. There are some people who have some pretty strong views on this topic. I work for a Member of Parliament and my office was recently plastered in posters by people who didn’t want the flag to change… hello people – this is why we live in a democracy! Get out and vote! Anyway I am getting off topic. 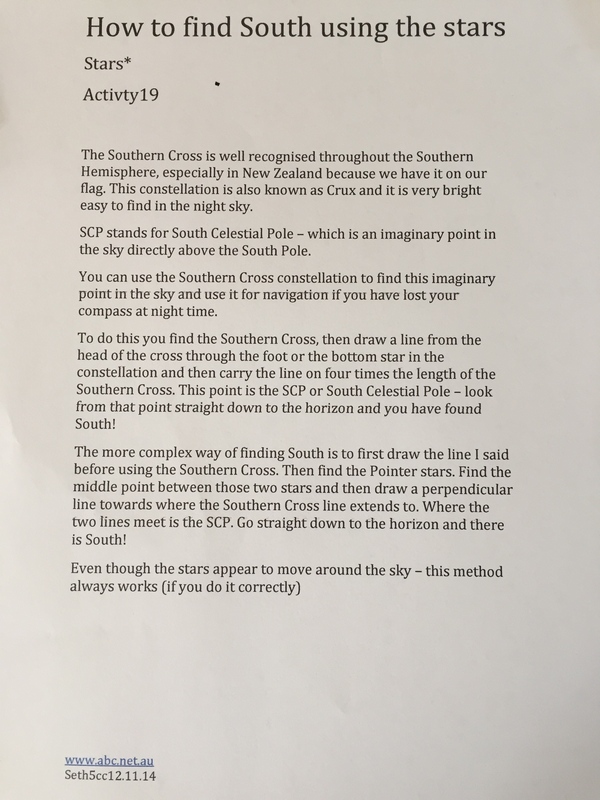 The Southern Cross is very handy as it can easily give you a pretty good idea of where South is, and this can be very useful information for sailors, and well anyone who is out at night and potentially lost.